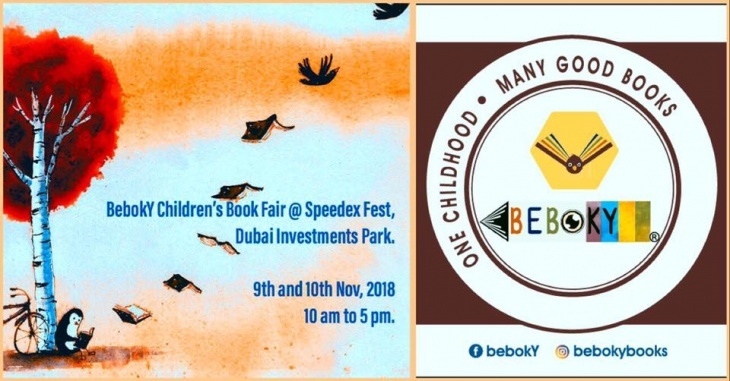 To all our little patrons, the next BebokY Children’s Book Fair is at The Speedex Annual Fest, Green Community Village, D.I.P ( Dubai Investments Park) this weekend. The 9th and 10th of November 2018 ( Friday and Saturday) from 10 am to 5pm. Pick from a wide range of author based books, gift packs and classic premium collections like Winnie the Pooh, Paddington, Winnie and Wilbur, Enid Blyton, David Williams, Roald Dahl, Ezra Jack Keats and much more . This festive season, gift a good book; Gift a BebokY!